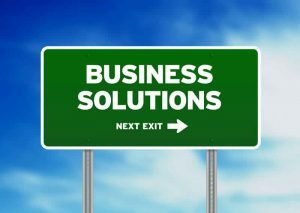 Auto dealers know how costly a "Bad Hire" can be....and the best way to avoid one is a quality background check. FBI statistics reveal that the overwhelming majority of all vehicle thefts from dealerships are connected by some aspect of employee involvement. Vehicle thefts arising from the collusion of a "Get Ready" employee with key access or a dealership manager, title clerk, cashier, F&I or sales person can result in major inventory losses in dealerships. Losses arising out of employee or manager theft, embezzlement, credit card fraud, harassment, workplace violence and other crimes can bring costly and even disastrous financial consequences to a dealership, it's employees and it's reputation. These facts alone dramatically illustrate the need for a thorough and comprehensive pre-employment screening program that includes a quality nationwide state and Federal criminal record background check for all applicants. New car dealers were some of the first businesses to understand the risk management value of a serious employment screening program. They identified employment screening as the most important first step to be taken to reduce the costs associated with hiring people that might bring claims, litigation and other avoidable losses and expenses to their businesses. National Employment Screening evolved from the risk management services provided by Dealers Insurance Services. By providing insurance, bonding and risk management services to new car dealers for over 25 years, we gained automotive industry experience that identified the many unique loss control challenges faced by new car dealers. We began National Employment Screening in 2002 as a dedicated separate business designed to serve the employment screening aspect of the risk management needs of the auto industry nationwide. Clearly, a quality employment screening program is a dealer's first line of defense in avoiding losses altogether. 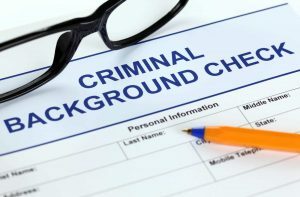 Human resources departments at dealerships with a thorough pre-employment background check program find that applicants with a serious criminal record are less likely to apply at a their dealerships. They won't waste their time or yours. Conversely, human resources professionals know that dealerships that provide a safe and stable working environment attract the best employees. Employees that are proud to work with other well screened employees. Our new car dealer clients demand faster turn around times and more accurate and in-depth results than those being provided by the major data companies.